HOW MUCH DO YOU KNOW ABOUT FOOD WASTE? Within the timespan of only a few months, the recession of 1929 developed into something much more serious, the Great Depression. Across the entire country people were out of work, production was down, and commodities were scarce . Many farmers not destroyed by the Dust Bowl and the inability to produce anything found that they suffered by falling prices and producing too much. No one could afford their products, and the decreasing demand only continued to lower prices so that even trying to sell was unprofitable. Because there were no large-scale programs that could distribute the unused food, many crops simply rotted in piles or spoiled in the fields, untouched. The Imperial Valley of California, for example, lost 2.8 million watermelons, 1.4 million crates of cantaloupes, and 22.4 million pounds of tomatoes in 1932 simply because it could not be sold, despite widespread poverty and hunger . 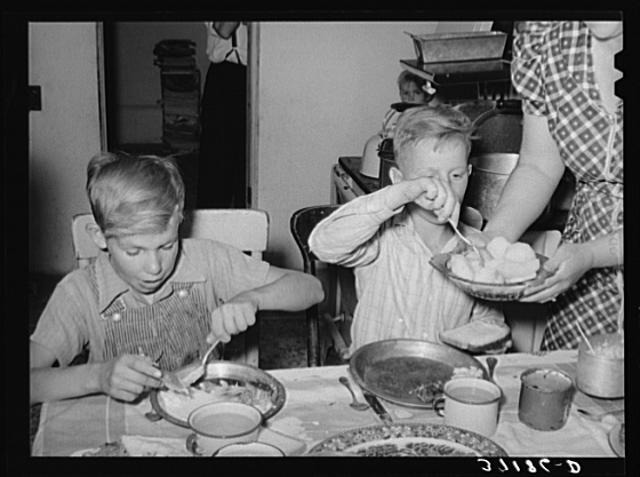 In 1933, President Roosevelt budgeted $75 million to the Federal Emergency Relief Administration to purchase food for farmers, giving them revenue and a reason to continue farming . Many people turned to newly developed, mass-produced processed foods like canned meats, corn chips, and fruit-filled cakes . Scarcity led to resourceful food repurposing techniques. With as much as 25% unemployment nationwide and the looming danger of malnutrition and even starvation for entire families, few could afford any sort of food waste . 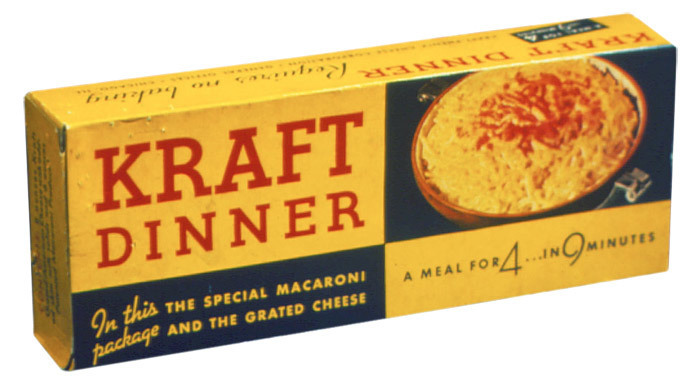 Recipes developed at the time may sound strange now: water cocoa, boiled milkweed pods topped with cheese , chicken feet in broth, ketchup sandwiches, gopher, bacon grease sandwiches, and oatmeal with lard . 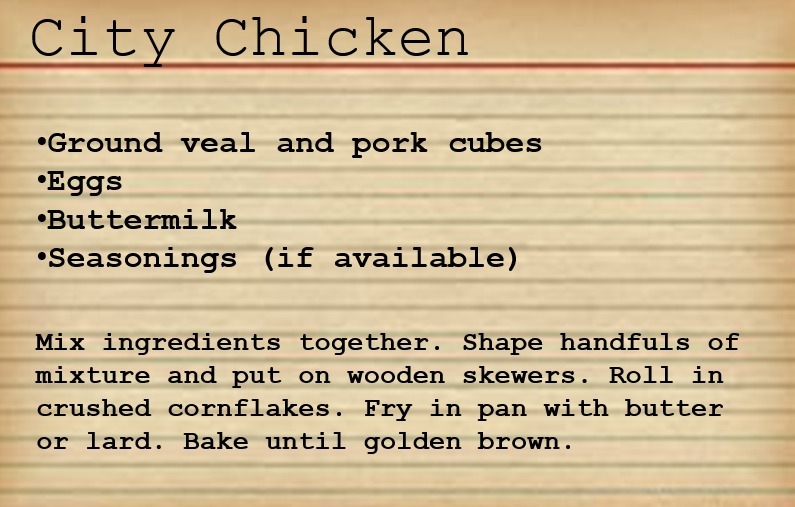 Families that could not afford chicken often turned to an innovative dish called City Chicken . 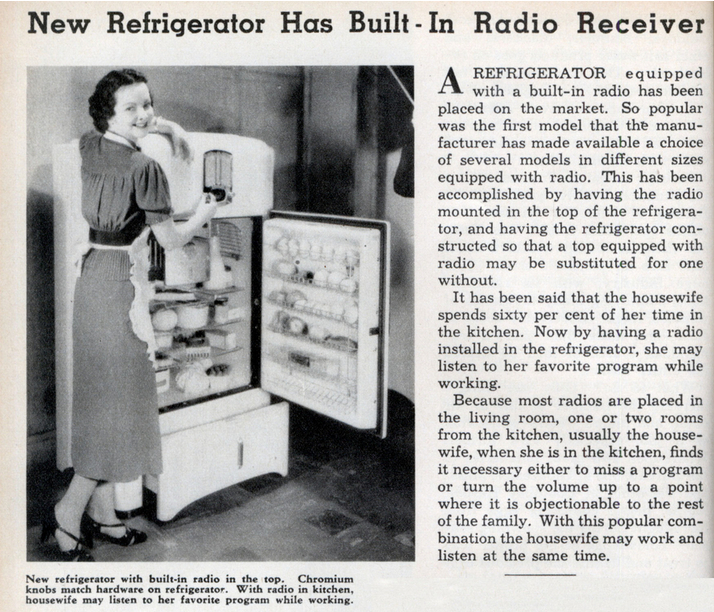 Marketers tried to convince homeowners that they needed a radio in every room to boost sales. Despite the hard times of the Depression, in the decade between 1930 and 1940 the percentage of homes that owned a refrigerator went from 8 to nearly 50. This meant that saving leftovers safely and effectively was more available, and less food was spoiled .